A bad presentation can ruin a great idea. This is true if you’re presenting work to a client or just in the way you present your work on your website. Don’t spend weeks crafting every detail of a campaign and then slap it on your website with a poorly-written description you crapped out in 30 seconds. Your job is to present ideas. To communicate clearly. To tell compelling stories. How you present your ideas will be judged as much as the ideas themselves. So make sure you think about how you present your idea. Is there a story behind it? Does there need to be? 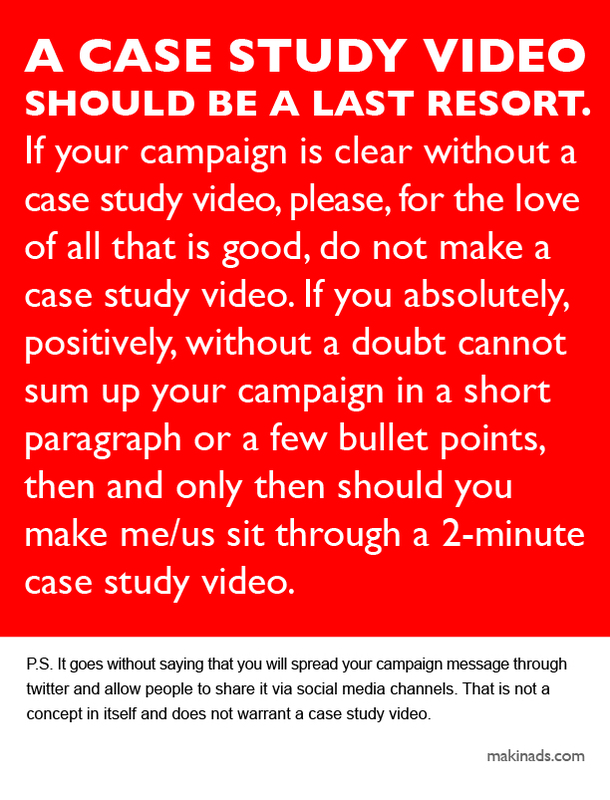 Should you create a video about it or do a couple simple sentences suffice?